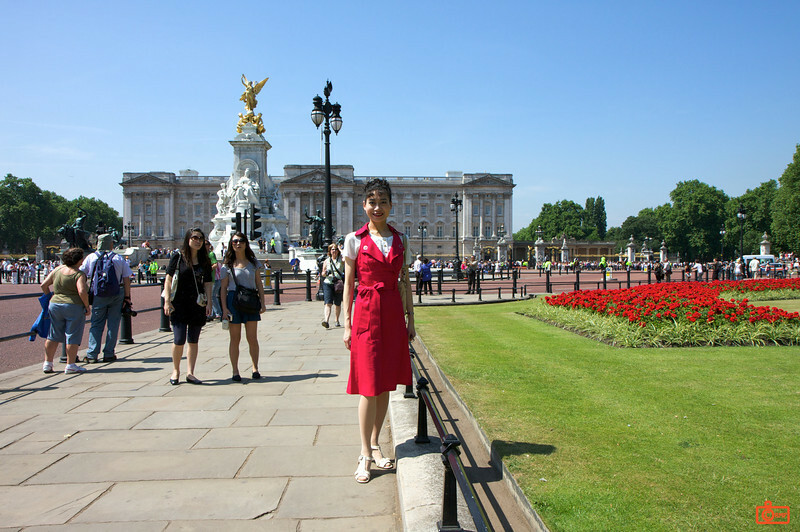 Rosa outside of Buckingham Palace. We were told that the Queen was not in, as the Royal Standard was not flying. Instead, the Union Jack was on the flag pole. Prince Charles was home (which is to the right of this picture), because his Standard was flying.